Monday's announcement of a new 10.5-inch iPad Air, as well as the refreshed iPad mini, has overshadowed the quiet removal of the 10.5-inch iPad Pro from availability in Apple's online store. None of the store pages include a listing for the model at all, indicating it is no longer available to purchase from Apple directly. 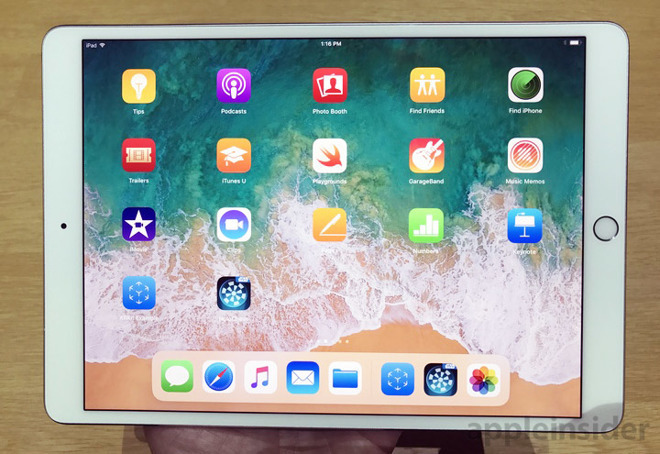 The removal is likely due to the similarity to the new iPad Air, with both models having the same resolution, laminated display, and screen features including True Tone. The iPad Air also uses the A12 processor, an upgrade compared to the iPad Pro's A10X Fusion, though it doesn't have features like the four-speaker audio system or the 12-megapixel rear camera. Introduced in 2017, the 10.5-inch iPad Pro was the last major release in the iPad Pro range before Apple implemented a number of changes to the lineup, including replacing Touch ID for Face ID and overhauling the physical design. While Apple doesn't sell the 10.5-inch iPad Pro anymore, other retailers still have stock of the now-retired model available to purchase. The AppleInsider Price Guide includes listings for retailers offering discounts of up to $250 from the model.